The aim of this study was to determine microcrustacean secondary production (P/B) and a herbivory ratio (ZB:PB) in the River Danube and a floodplain lake to reveal models in plankton food web functioning. P/B was used to assess population variation under different environmental conditions, while ZB:PB provided information on the zooplankton grazing intensity on algae. Seasonal changes, displayed by the hydrological regime, i.e., related water level fluctuation, were expected to explain different plankton patterns between the study sites as a result of unlike community composition and food quality. The structural equation modelling we used identified specific pathways of measured indexes at the individual localities. Although the direct impact of water level fluctuation on the studied communities was low, the following difference in abiotic components might have caused shifts in zooplankton assemblages that changed P/B and ZB:PB ratios. In the floodplain lake, P/B was primarily influenced by biotic components, and herbivory alteration was expressed through top-down control. On the contrary, P/B in the riverine system was controlled by an environmental element and herbivory was driven by the bottom-up resources. 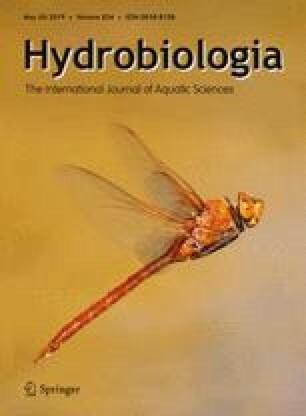 The results show the usefulness of the studied indexes in determining variations of zooplankton functional processes in the hydrologically dynamic environments. The online version of this article ( https://doi.org/10.1007/s10750-019-3950-7) contains supplementary material, which is available to authorized users. Anita Galir Balkić and Ivančica Ternjej have equally contributed to the work. The Croatian Ministry of Science, Education and Sports supported the research Project No. 285-0000000-2674. Many thanks to project leader Prof. Jasna Vidaković for her support and Dubravka Špoljarić Maronić Ph.D., Filip Stević Ph.D., Goran Palijan Ph.D. and Vanda Zahirović for field and laboratory assistance. A map of the study area was provided by Igor Stanković Ph.D.